Rutgers has hundreds of formal partnership agreements with higher education institutions and international organizations around the world. These agreements, or memoranda of understanding (MOUs), have been signed to support study abroad programs for students, exchanges for faculty and students, faculty and graduate student research collaboration, 2 + 2 degree programs, and more. Through these partnerships, students and researchers can pursue activities and projects in virtually any discipline. If you are a member of the Rutgers community and would like to speak about international collaboration or are from an international institution seeking to investigate collaborations with Rutgers, contact globalrelations@global.rutgers.edu. MOUs cannot be signed without prior approval by Rutgers Global, Office of the General Counsel, and the Office of the Senior Vice President for Academic Affairs. Please select only the most relevant template to use for your proposed partnership. The Rutgers General Cooperation Agreement template is the most commonly used MOU. This version should be used when parties have a clear vision of what their partnership will entail. The Rutgers Abbreviated General Cooperation Agreement template is more basic than the general cooperation agreement and is used when parties want to confirm interest in a partnership, but have not yet established the particulars of that partnership. Most often, a separate MOU describing the partnership in more detail is developed and signed at some point after the signing of the abbreviated general cooperation agreement. The Rutgers Letter of Intent template is most often used to demonstrate mutual desire between parties to explore the possibility for future collaborations, particularly when this possibility has not yet been confirmed. The Rutgers 2+2 Transfer Agreement template should be used for partnerships that involve double degree programs for undergraduate students. The RBHS MOU template should be used by RBHS faculty and units. The MOU includes relevant clinical and other provisions specific to partnership issues that should be addressed by these units. The General Cooperation Agreement is a general statement of two parties of an intent to cooperate with the understanding that the parties will sign further agreements regarding specific collaborations. Reciprocal student exchange programs are frequently proposed by potential international partners. Such programs exchange students, usually in a 1:1 ratio, between Rutgers and a partner institution abroad. Reciprocity is an important component of these exchanges and must be considered carefully prior to the formalization of any exchange program. Simply put, we must know that we will be able to send out roughly as many students as we accept from a given school for the exchange to be financially viable. Rutgers students going abroad pay tuition and fees to Rutgers, and these funds are applied to the tuition and fees of an incoming exchange student coming to Rutgers. Tuition and fees are handled similarly at the partner institution. Outgoing students enroll at the partner institution and receive transfer credit upon completion of their studies while on exchange. Exchanges at the graduate level (study, research, and/or teaching) should involve deans of the appropriate school(s) and faculty as well as the relevant graduate school deans in both the execution and signing of any agreement involving graduate level activity. The university has different types of faculty exchanges with many international partners. Usually, faculty exchanges are built around collaborative research or teaching exchange visits, or/and short- term visits. For example, reciprocal teaching exchanges involve a faculty member teaching students at a partner institution for a set period, with a faculty member from that institution, in turn, coming to Rutgers to teach. Additionally, departments and schools may provide training and assistance with curriculum development or other training and support services to partner institutions, while international colleagues may help faculty members incorporate international components into the Rutgers curriculum. Research at Rutgers often involves faculty or universities outside the United States. Rutgers faculty, students, and staff work with their counterparts to investigate critical issues of global significance. As research and innovation in the contemporary environment becomes increasingly structured around large, interdisciplinary, and international clusters of scholars and institutions, a key to increasing Rutgers’ research capacity is creating international networks through strategic research partnerships. International academic and research partners can reinforce and complement Rutgers’ strengths. Research partnerships may be as simple as a Rutgers graduate student working in the laboratory at a foreign partner institution, or may involve a funded center using multi-disciplinary faculty from both institutions to explore numerous issues in a broad field. For some research collaborations an MOU outlining academic administrative relations and the parameters of any necessary faculty or student exchange may suffice. For more complex projects, especially those involving grant or contract funded research such an initial MOU may be necessary but not sufficient. For research collaborations that involve, for example, intellectual property rights, the import or export of research materials or products, the transfer of information that could be deemed sensitive in relevant jurisdictions, and research involving animal or human subjects, the individual(s) initiating the relationship should consult with the Rutgers Office of Research and Economic Development and the Office of Research and Sponsored Programs for guidance in the necessary scope of such due diligence. The establishment of an international collaborative degree program, such as double degrees, involves the support of numerous offices on campus and therefore represents a major institutional commitment. Such programs may involve developing new courses and may require approval of a new degree. We suggest that anyone considering this contact Rutgers Global at globalrelations@global.rutgers.edu early in the process to receive guidance on the best way to proceed. Joint Degrees: Rutgers and another institution are listed on one diploma and jointly award one degree. These degrees can be administratively difficult to create because they may require approvals at the highest levels of both awarding institutions and their accrediting agencies. In the case of international partnerships, such arrangements are especially difficult. Consequently, joint degrees are rarely created. 2+2: Typically an undergraduate degree with two years of study at one institution accepted for advanced standing at Rutgers or the other institution toward a degree. Student will be receiving two diplomas, one from their home institution and one from Rutgers. For examples, see SEBS 2+2 Programs. 3+1: Under this arrangement, students spend 3 years at a partner institution and one year at Rutgers. They will receive a diploma from their home institution. 4+1 or 3+2: In these five-year programs, students spend three or four years at a partner institution and one or two years at Rutgers respectively. Typically this leads to an undergraduate degree from a partner institution and a master’s degree from Rutgers. Credit Transfer Arrangements: Some agreements permit the acceptance of a specific number of credits between two institutions that apply the credits to their own degrees. A certificate program reflecting the completion of the credits at the institution not granting the degree may be part of the arrangement. Faculty or departments may work with research centers, universities, foreign corporations, or governments abroad on projects that supply applied expertise. Such programs may involve government funding. Some projects do not fit within any of the above categories and may or may not require an agreement to meet the objectives of the relationship. Please consult the Rutgers Global at globalrelations@global.rutgers.edu for guidance on how to proceed. Contact his/her school’s designated international administrator or dean’s office and provide the relevant information set forth in the General Criteria to Consider When Selecting a Partner Institution in the Additional Resources section. Secure appropriate approvals from the Rutgers Global–Study Abroad or relevant graduate school if the partnership includes undergraduate or graduate student exchange. The international administrator or dean's office will gather information from the school and university that will be required for the online proposal form and will consult with the chancellor's office if necessary. Contact Rutgers Global and area studies directors to determine if there are other relevant contacts or relationships in existence. Once it is determined that a particular school is interested in signing such an agreement, the proposal form will be completed and submitted to Rutgers Global for review. Once the proposal has been reviewed and approved, Rutgers Global will assist with selection and review of the appropriate draft MOU. Upon approval from Rutgers Global, the agreement will be sent to the Office of the Senior Vice President for Academic Affairs and the Office of General Counsel for review and will follow the final steps in the MOU signatory process outlined below. Gather information from the school and university that will be required for the online proposal form and consult with the chancellor's office if necessary. Contact Rutgers Global and area studies directors to determine if there are other relevant contacts or relationships in existence. Secure appropriate approvals from Rutgers Global–Study Abroad or relevant graduate school if the partnership includes undergraduate or graduate student exchange. Upon approval from Rutgers Global, the agreement will be sent to the Office of the Executive Vice President for Academic Affairs and the Office of the Senior Vice President and General Counsel for review and will follow the final steps in the MOU signatory process outlined below. Staff from Rutgers Global will work with the initiating parties to conduct the appropriate research and consultations with additional academic units, collect necessary information and will send the finalized proposal and draft MOU to the Office of the Senior Vice President for Academic Affairs and the Office of General Counsel for review. Rutgers Global will secure appropriate approvals from Rutgers Global–Study Abroad or relevant graduate schools if the partnership includes undergraduate or graduate student exchange. After approval, the final MOU will be sent to the Office of the Senior Vice President for Academic Affairs for signature. Entering into a partnership is a major commitment of time, energy, and university resources. It is important to take the time to learn about your potential partner, define your objective clearly, and understand the nature of the commitment you are undertaking. The following criteria are intended to guide you as you develop your proposal. Is the foreign institution one with which Rutgers University would want to engage in scholarly cooperation? Does the proposed relationship take advantage of converging Rutgers University’s activities in a given region or country? 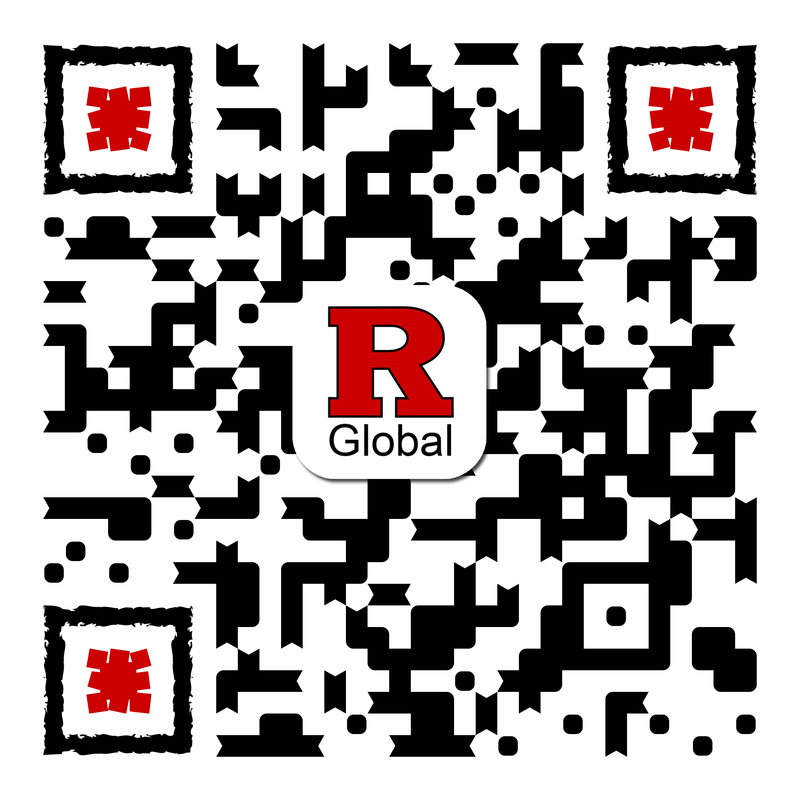 Click here to see a complete list of Rutgers University partnerships. How does the proposed program relate to and advance the international mission and strategic plan of Rutgers University, the school, or department? What are the expected and foreseeable outcomes of the proposed relationship and how do they benefit the university’s various stakeholders? Describe the proposed program, identifying specific activities, resources, and obligations provided by each partner institution. Is the proposed partnership intended to be a university-wide partnership or limited to a particular school/school(s)? What schools/departments are supporting this proposal? Who are the individuals taking primary responsibility for this partnership? In what ways are the faculty member(s), department(s), and/or school(s) committed to a sustained partnership? What are the ongoing academic resources needed to sustain this partnership? What are the financial implications of the proposed partnership? What university resources are being committed? Does grant or contract funding support any research or other activities to be conducted as part of the agreement? Some partnerships, especially those that are more involved, may require Rutgers Global to do some additional investigation into the areas listed below. What is the legal status of the proposed partner with respect to its own country’s regulatory regime relating to accreditation of an academic program? Does the potential partner have established governance and accountability practices that adhere to local, regional, and/or national legal requirements in their country of operation? Does the potential partner have the necessary administrative infrastructure, resources, and personnel within the organized structure to support the proposed program? Does the proposed institution have financial practices that are accountable, transparent, and independently audited? Does the proposed program meet Rutgers’ health and safety policies for the protection of Rutgers, its faculty, students, and staff? Does the proposed partnership meet all Rutgers University requirements for research or study abroad? Does the proposed program comply with all university policies, procedures, and ethical standards?